Baku and Grozny have agreed to open a representative office of Russia’s Chechen Republic in Azerbaijan, President of Russia’s Chechen Republic Ramzan Kadyrov wrote on his page in the social network VKontakte. 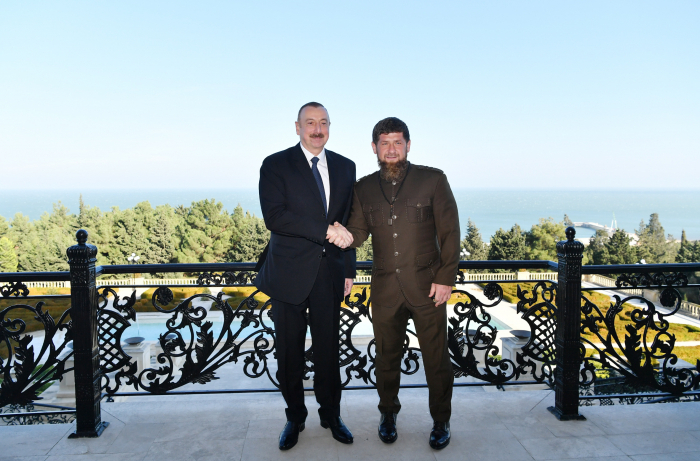 Kadyrov announced that the relevant agreement was reached during a meeting between Azerbaijani President Ilham Aliyev and Adviser to the Head of the Chechen Republic, member of the Russian State Duma Adam Delimkhanov in Baku. “The sides discussed the prospects for development of economic, cultural and humanitarian relations between Azerbaijan and the Chechen Republic. During the meeting, it was also agreed to open a representative office of the Chechen Republic in Azerbaijan,” Kadyrov wrote.